ALLOWING WATER AND NUTRIENTS TO GET TO THE ROOT SYSTEM. RECOMMEND USING WITH SLIGHTLY DAMP SOIL. AERATING = 21,000 SQ. FEET PER HOUR @ DEPTH 2 3/4"
Folding handles and lift grips for compact, easy transport. 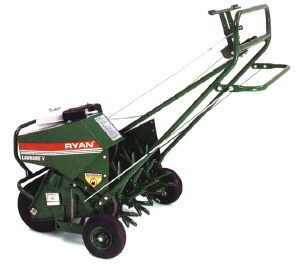 * Please call us for any questions on our aerator lawn inv rentals in Santa Ana and Orange CA.